Since the passage of California Proposition 215, and California Senate Bill 420, cultivators, transporters, and users of medical cannabis have been shielded from criminal prosecution for that cultivation, possession, transportation, and use. However, the laws of the state of California do not, as of this writing, make the cultivation, possession, transportation, or use of cannabis legal. The distinction is important. Any possession of cannabis is illegal under Federal law. Nothing done to date in California, or any of the other states that have loosened their laws regarding marijuana, affects the Federal government’s ability to charge, convict, and punish the possession or use of marijuana. 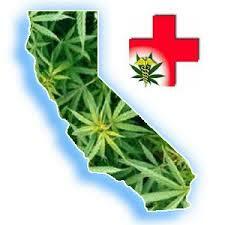 The California statutes that have come out of 215 and 420 permit a defendant, charged with cultivation, possession, transportation, or use of marijuana, to have an instruction read to the jury that says that if the defendant has played by the rules set forth in the statutes, he or she should be acquitted of the cultivation, possession, transportation, or use charges. That’s as far as the statutes go to protect individuals. The defendant still has to stand trial and can still lose. Most of the decisions of the California appellate courts, where much of our marijuana compliance law is really made, have narrowly construed the statutes protecting users and possessors. This means the courts are not expanding the protections created by the legislature but are, in fact, limiting them dramatically. In order to have the protections provided by the statute a defendant must prove that he or she had a state issued medical marijuana card or a recommendation by their physician stating that the use of marijuana is an appropriate medical response to some physical condition. The amount a person can possess, with card in hand, is limited to the reasonably necessary quantity of cannabis the person needs to attend to his or her medical condition. 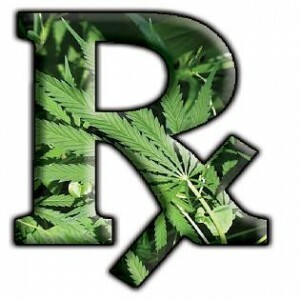 The statutes permit individuals to associate, as formal, or informal organizations to produce and distribute medical marijuana. Typically a group of people form a consumer benefit corporation. Each member of the collective then is entitled to share in the expense of raising the cannabis crop and entitled to a share of the crop. So long as the harvested marijuana does not leave the membership of the collective the members are entitled to the protection of the statutes. However, in order to retain the legal protections provided by the statutes, the association, or collective, must follow rules set forth by the attorney general. These include, but are not limited to, complying with local regulations, ensuring that every member of the association has a medical marijuana card, and that each member’s identity is confirmed. At the Law Offices of James F. DeMartini, we form corporations, or other associations, tailored to the needs of our cannabis growing clients. Our goal is to provide our clients the highest degree of safety and security.